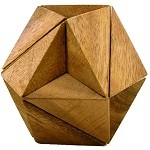 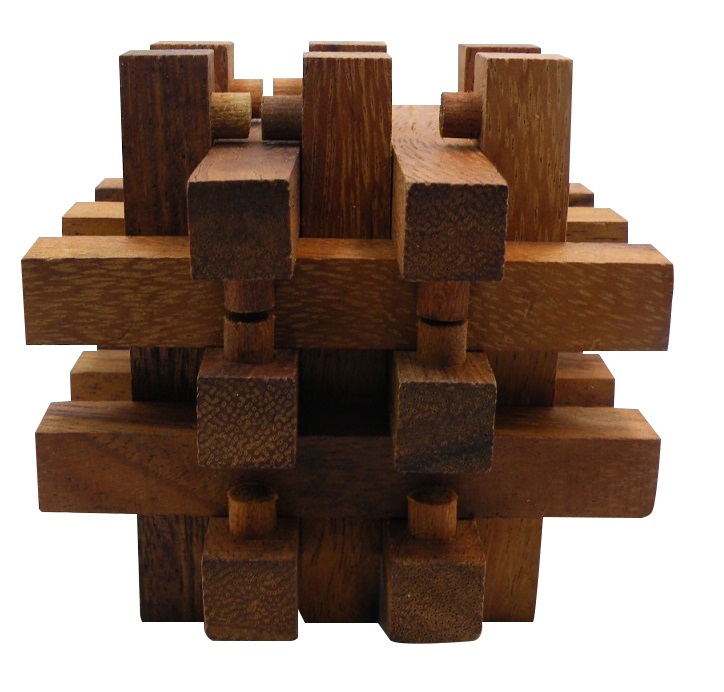 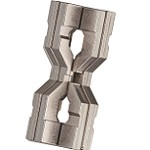 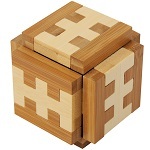 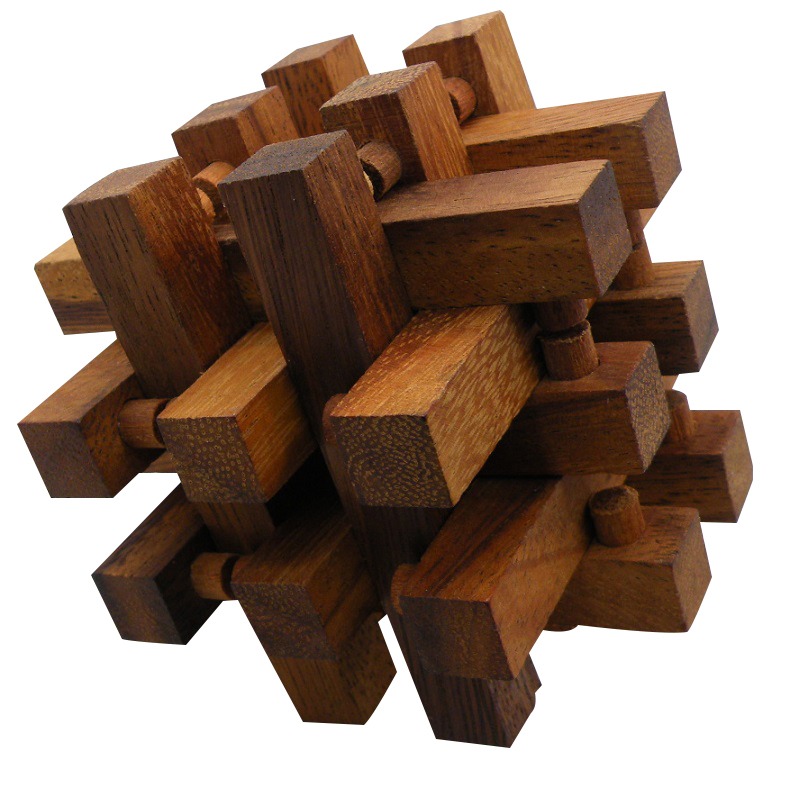 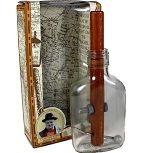 Great and difficult Interlocking wooden brain teaser puzzle. 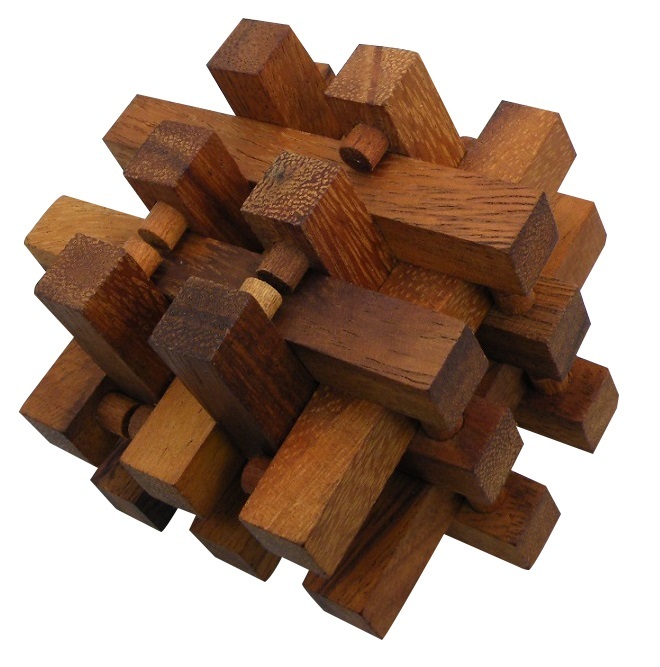 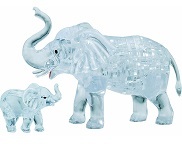 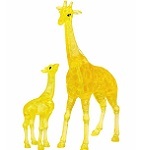 The puzzle includes 14 pieces. 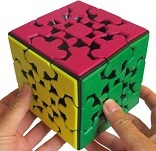 When assembled, Interlock to create this unique cube. 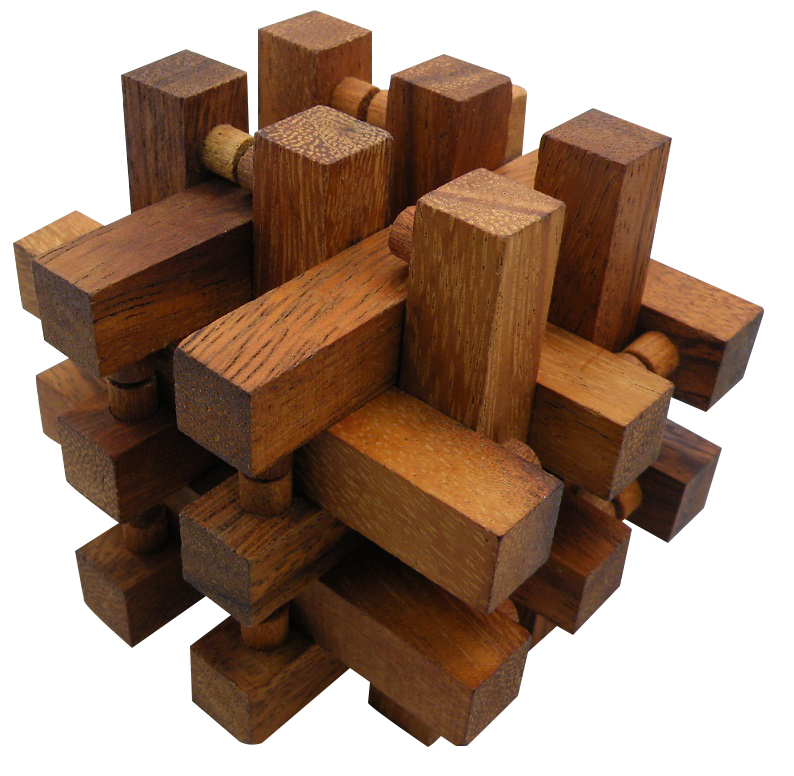 Once you figure out how to separate the pieces, you must then put them back together. 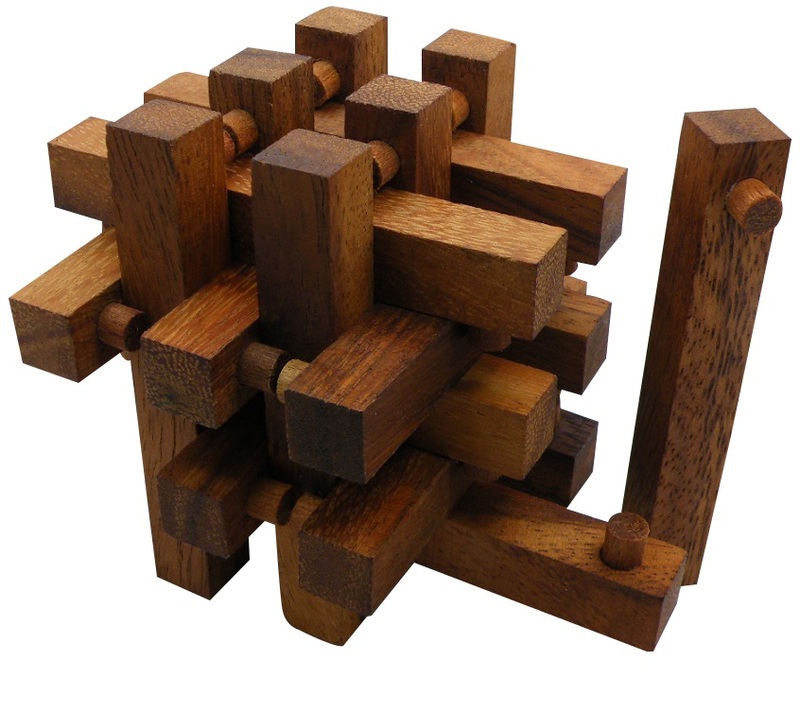 The reassembly is the real puzzle and is not easy.